The nation is moving on from basic income, but it did learn a few lessons along the way. Sorry, basic income. Finland is simply just not that into you. Well, the Finnish government in particular. In January 2017, Finland launched a first-of-its-kind basic income trial, the first by a European government. 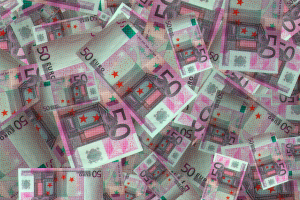 For two years, 2,000 randomly chosen unemployed citizens would receive a tax-free, no-strings-attached monthly payment of €560 ($690) from the government to test the viability of basic income. With eight months still left in its two-year-long trial of universal basic income, the nation’s government has told Kela, the Finnish social security agency, it will not expand the project, The Guardian reports. The Finnish government has refused Kela’s request for an additional £61 million ($85 million) to expand the project to include employed citizens in 2018. It will continue to pay the people already involved in the project until January 2019, as originally planned. Finland’s decision to end its basic income trial could be because another kind of welfare program has already caught its eye: Petteri Orpo, Finland’s finance minister, told Finnish newspaper Hufvudstadsbladet he thinks the nation should give a universal credit trial a go once the basic income project officially ends. A universal credit is a single social security payment that replaces several once-distinct benefits, such as income support or child welfare. How much money a person gets in that payment depends on a person’s income — those who earn more money receive less in their credit. This tiered payment system eliminated an argument long wielded by opponents of UBI: It wouldn’t disincentive people from seeking employment. However, a universal credit would include one of the logistical benefits of UBI: a single, streamlined payment for all uses. The United Kingdom introduced a universal credit in 2013, so Finland has an example to consider while designing its own universal credit trial. Indeed, it looks like Finland is leaning more towards a universal payment system than less. Last December, the Finnish Parliament passed a law that requires people receiving benefits from the government to actively seek employment and report their efforts to officials every three months. The legislation, which went into effect in January, does align with a future shift toward a universal credit-type system. And that might be pretty good for Finns. A study by the Organisation for Economic Co-operation and Development (OECD) found a universal credit could cut the poverty rate in Finland from 11.4 percent to 9.7 percent. Finland may not have fallen in love with UBI, but citizens could still benefit as the nation revamps its welfare system.